Yet another month has passed and that means one thing.. it’s time to share my favourites with you! I really look forward to this every month because it gets me thinking about the products I have used a lot and have enjoyed plus of course I get to share them with my lovely readers. First on my list of favourites is a nail polish I bought at the National Wedding Show at the end of February. Eternal Optimist was worn by Millie Mackintosh on her wedding day and is a beautiful blush pink which is described as spiced tea rose with a hint of cream. 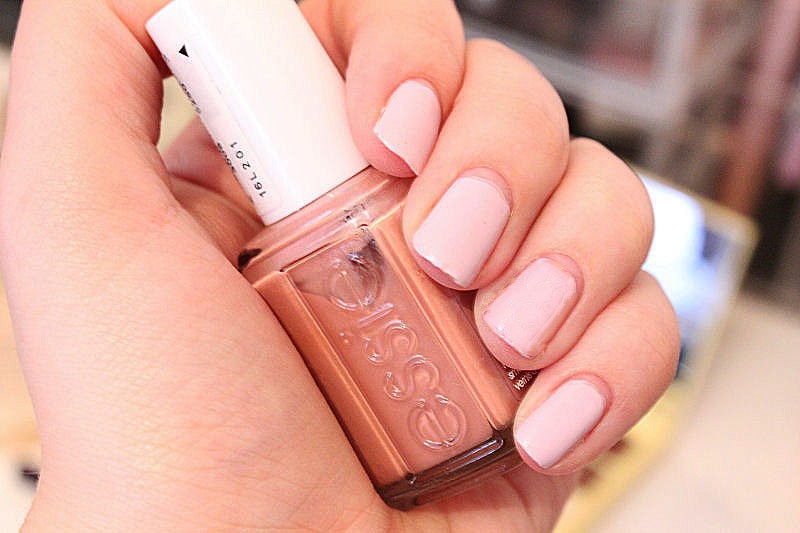 It’s the perfect neutral shade for Spring and Summer and I’ve been wearing it a lot. 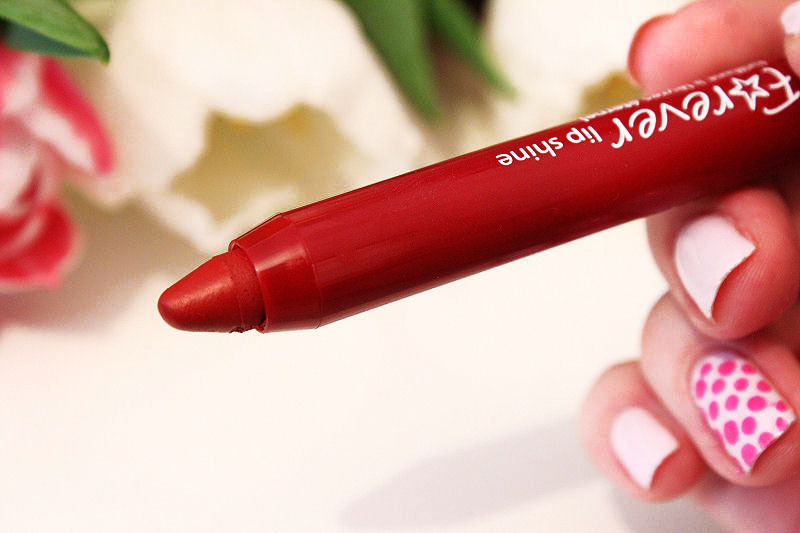 The formula is also perfect and the wide brush allows application to be precise and quick. 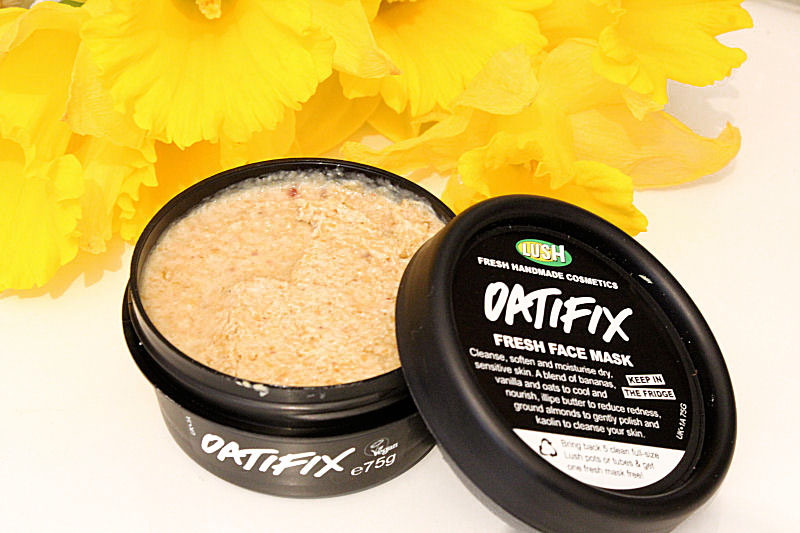 This month I discovered a new face mask from Lush called Oatifix which contains bananas which are very nutritious for the skin, oats, almond oil and koalin which work as a gentle exfoliator together and illipe butter to soothe and keep the skin soft. I’ve loved this face mask so much since I bought it it’s taken a lot of effort not to give into temptation and just use it daily. It’s very gentle on my sensitive skin and after use it looks healthy, glowing and hydrated. It is so moisturising my makeup applies beautifully after use. I’m a huge fan of Makeup Revolution and I’ve been using their eyeshadow palettes a lot this month particularly the Naked chocolate palette. The formula blend easily and the 16 shades allow me to easily create different looks for day or evening whether I’m looking for something soft and simple, smokey, matte or shimmery. This palette is really good value for money. 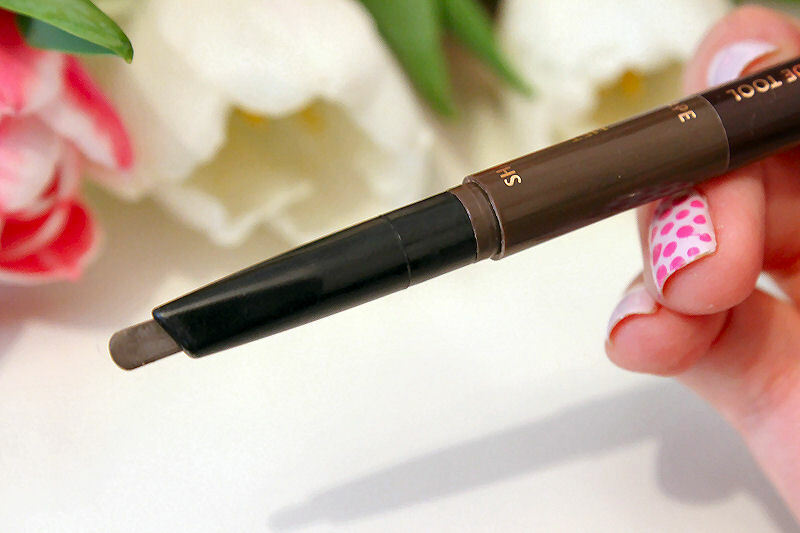 The next product I have been loving is an eyebrow pencil by Charlotte Tilbury called Brow Lift. This is a double ended product that includes a brush as well as the product itself which is a narrow slant that allows me to apply the product soft light strokes so hairs can be replicated. This product makes my eyebrows look very natural and it works well whether I’ve had to rush or take more time. The shade is also a perfect match for my brows. In this month’s favourites I have a second product by Makeup Revolution and that is their lipstick in Enchant. Since I started using their lipsticks I have been very impressed and I can’t still believe the quality you get for just spending £1.00. The formula is light, creamy and moisturing, more so than than some high end products I have tried and the colour selection is great too. 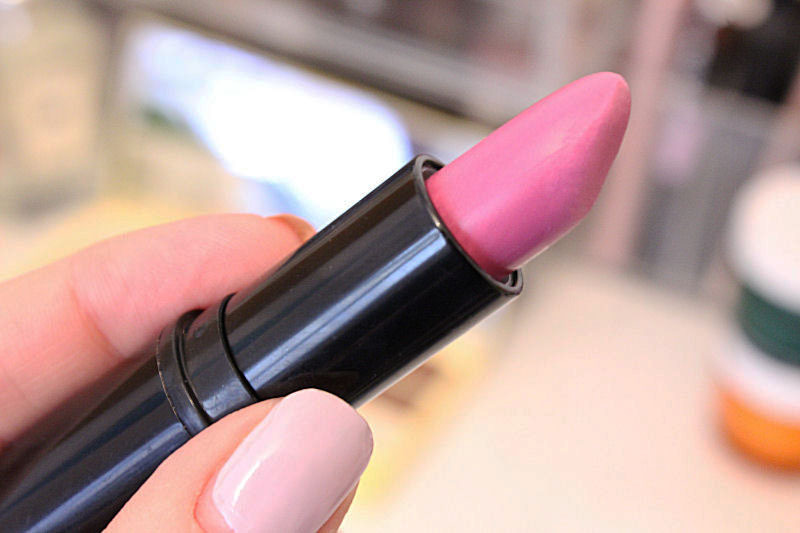 Enchant is unlike any other lipsticks in my collection as it is slightly more lilac toned and I love it. Everytime I wear it my Fiance comments on how he likes my lipstick and this has definitely been a go to product for me. 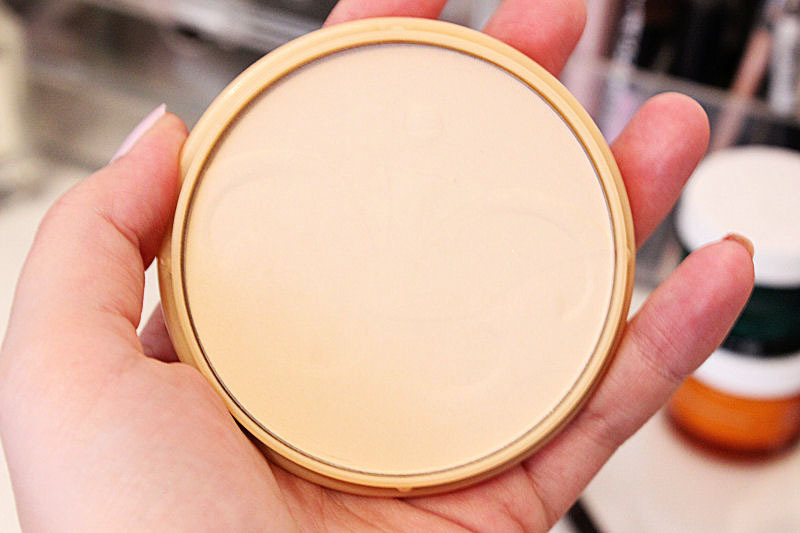 I finally gave into the hype this month and bought the Rimmel Stay Matte Translucent Powder. I’ve heard lots of people rave about it but haven’t tried it as I’ve always used my MAC MSFN. Lately, I’ve been finding that a little dark though so I thought I’d take the plunge and try Stay Matte. It’s a lovely product. It’s light and not cakey in the slightest plus it doesn’t add colour to the face. I like this product a lot. The last item for the March favourites is the GOSH Forever Lip Shine. I first tried this at an event in February and I’ve been hooked ever since. The formula is soft and creamy plus has a subtle hint of shimmer which helps make my lips looks fuller. The colour selection is also gorgeous and I would wear pretty much every shade in the collection. This product glides on effortlessly and reminds me of the Urban Decay Saturated Lip Colours but are actually better because you don’t have to sharpen them! Gorgeous photos! 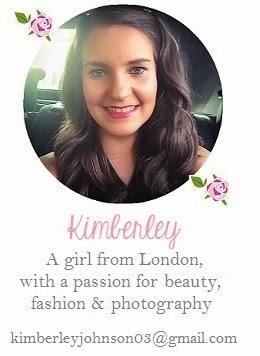 I love a monthly favourites post, which reminds me, I may need to start writing soon hehe! 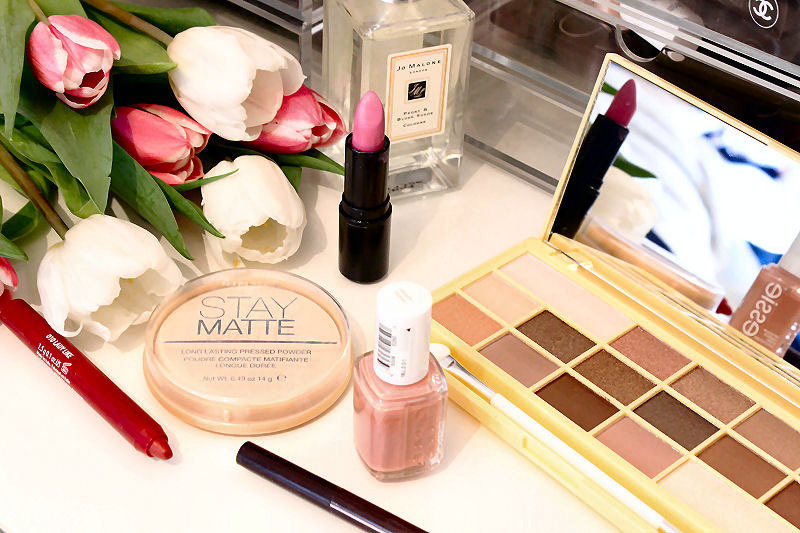 I love every product shown (oh no, I sense an online window shop after this) I've always wanted to try the Rimmel Stay Matte powders and have heard so many positive reviews on such an affordable product! Great post with nice pictures! I'm interested in trying Makeup Revolution palettes. that lipstick looks so nice! 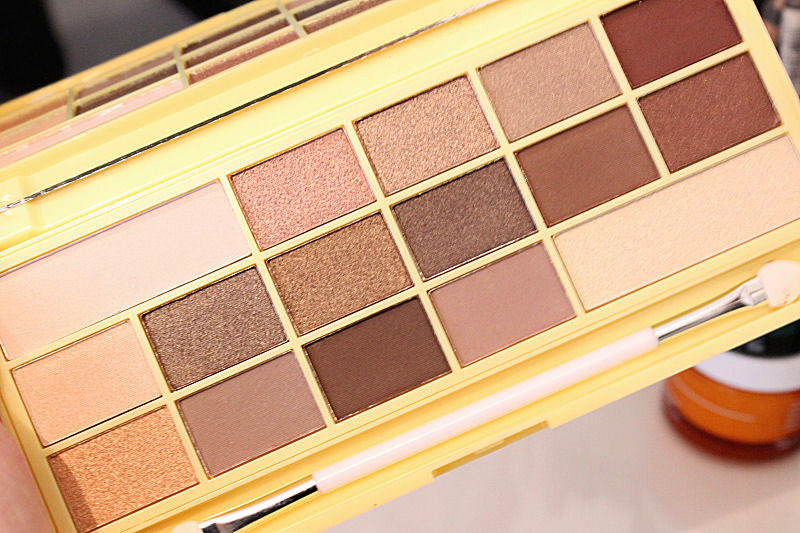 The palette is so gorgeous!